But till that day, plaise God, I'll stick to the Wearin' o' the Green. Cabbages catch at the moon. It is late summer, no rain, the pack of the soil cracks open, it is hard summer. In the night the cabbages catch at the moon, the leaves drip silver, the rows of cabbages are series of little silver waterfalls in the moon. 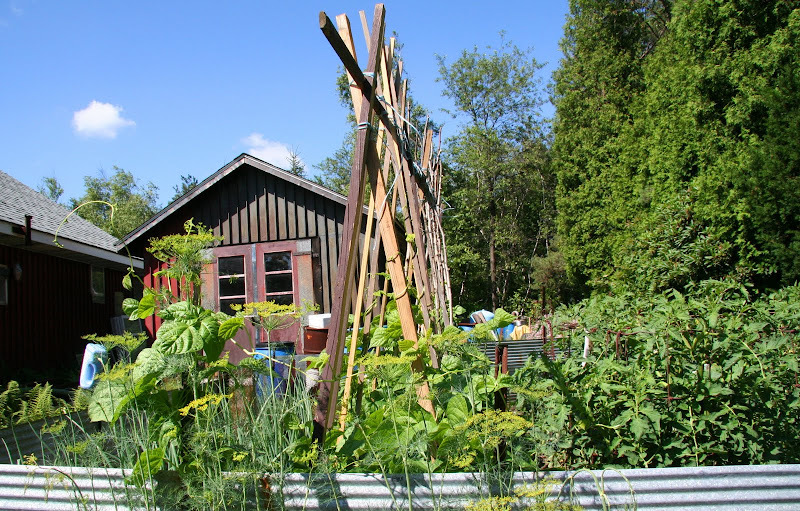 The first gatherings of the garden in May of salads, radishes and herbs made me feel like a mother about her baby - how could anything so beautiful be mine. And this emotion of wonder filled me for each vegetable as it was gathered every year. There is nothing that is comparable to it, as satisfactory or as thrilling, as gathering the vegetables one has grown. I roamed the countryside searching for the answers to things I did not understand. Why shells existed on the tops of mountains along with the imprints of coral and plant and seaweed usually found in the sea. Why the thunder lasts a longer time than that which causes it and why immediately on its creation the lightening becomes visible to the eye while thunder requires time to travel. How the various circles of water form around the spot which has been struck by a stone and why a bird sustains itself in the air. These questions and other strange phenomena engaged my thought throughout my life. Outward simplicity befits ordinary men, like a garment made to measure for them; but it serves as an adornment to those who have filled their lives with great deeds: they might be compared to some beauty carelessly dressed and thereby all the more attractive. 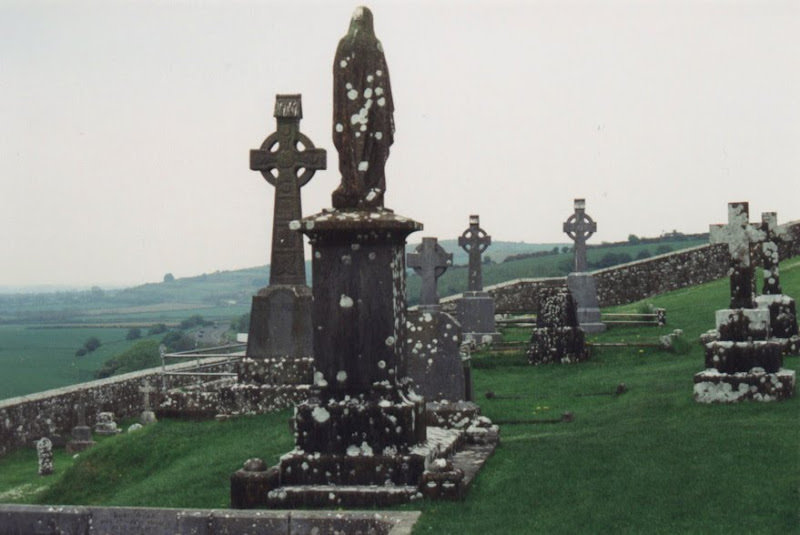 And the blessed Irish shamrock with the fairest green of all. no mm regular will be surprised about today's theme song. if it didn't sound creepy, I'd claim to be joni's biggest fan. And you'd better return Kermit before I report a frognapping to the Feds! LOVE, LOVE, THE PIC OF YOU AND KERMIE! 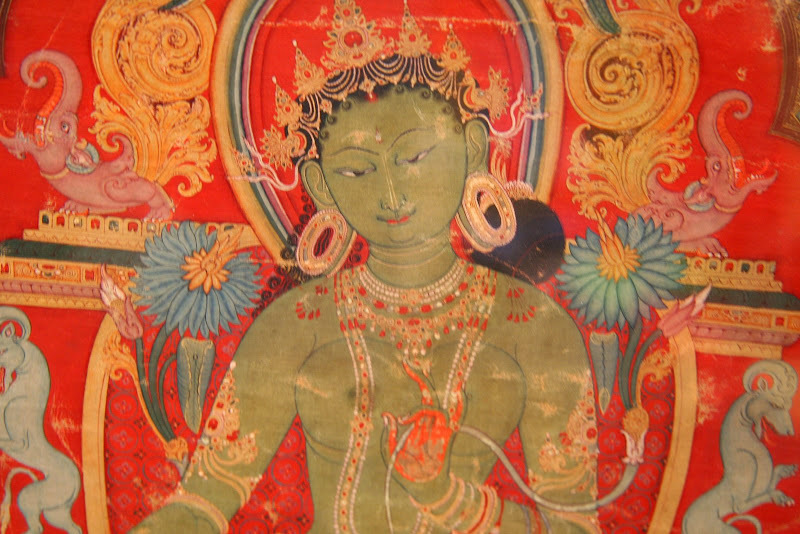 Ah, the GREEN TARA, most compassionate. Such soul-enlivening images! 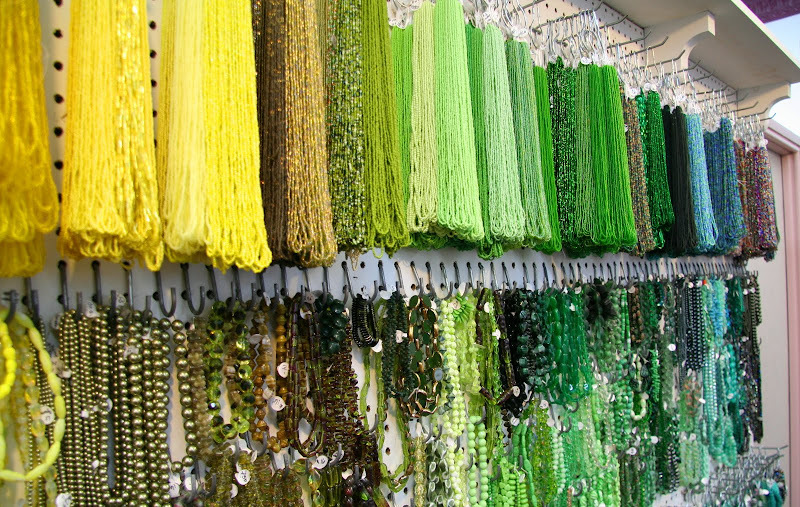 The beads especially resonate with me. You are kermit...too, too cute! That snowy pic is what it looks like here...no green outside yet unless it's a coat. That opening pic was just amazing. I had to stop and gaze at her lovely face for a long while. Love the mossy wall AND your Kermie! Your blog is always so stunning. I really need to come here more often. I heard "Little Green" for the fist time this year. Did you know it was written for a baby Joni gave up for adoption? A nice collection of green, and Joni at the end. That made this a good morning! Thanks, Kim. Have fun today! Lovely green-ness, so many different takes. And I hadn't thought about the J. Mitchell song in a very long time. Love the eco landscaped wall. I've seen a few of these buildings about in archetecture pictures. Wonderful to be reminded of the vertical garden. Hundertwasser's apartment building in Vienna is also remarkable green architeccture, my recollection is that it has 17 roof terraces. love the vertical garden! and kermit! I always appreciate seeing pictures of you. you have light coming off you. Nocturne Cabbage, delightful! I love walking in my garden at night, especially when there's moonlight, it's another world. 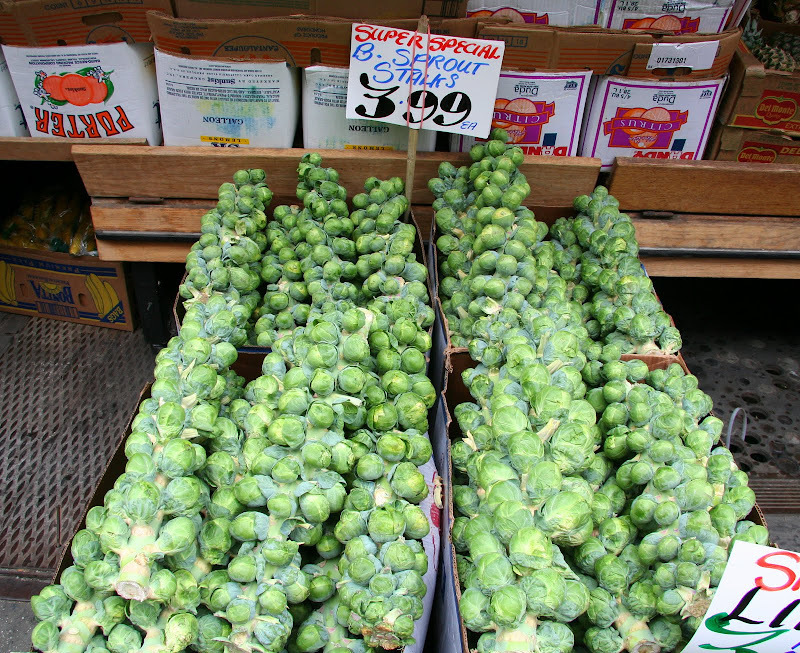 I agree with you about brussel sprouts - I see them as miniature cabbages. 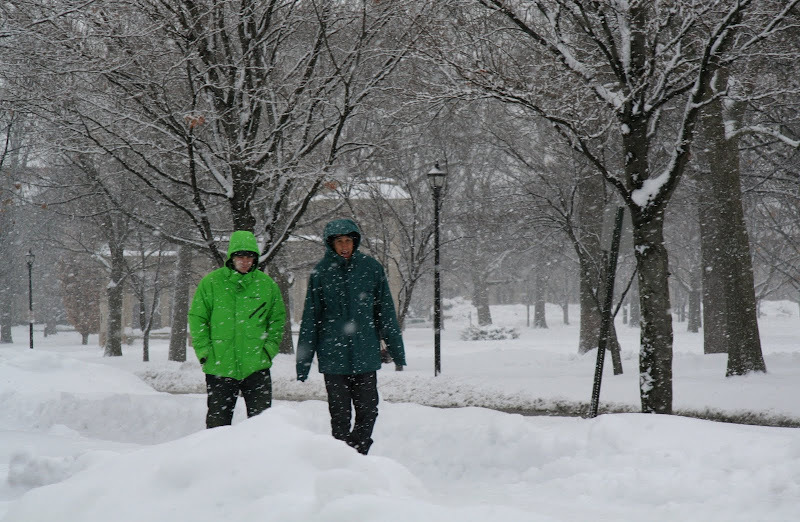 And that photo of Oberlin really brought back the winters I spent there! I liked the landscape a great deal, but it had its harsh aspects. Great post and amazing photos as always. I almost posted "Little Green" too, a favorite song about the color but opted for the lesser known "Green Up Time" sung by Lotte Lenya. all great shots...especially the graves...and Kermit's smile is infectious. Just great--particularly like the shot of the brussels sprouts & the Chines proverb & Toklas quote. I love brussel sprouts and Joni Mitchell. Great photos.The Graveyard Especially.Happy T.T. Haha .. fun and a little poignant! Love the last shot . . Enjoy your moviefest! I loved seeing the pic of you at the end...also enjoyed seeing the green tara--I was looking at Thankas yesterday so it especially spoke to me. Also the vertical garden at Branley--wonderful! !